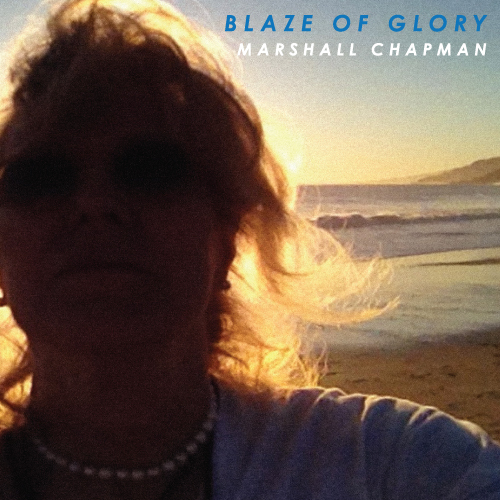 Clarksville, TN – Marshall Chapman is in herself a blaze of glory so it’s not surprise that her new CD is called, “Blaze of Glory.” To be in the room with Marshall is to find yourself in a place where the unexpected is the norm. To put it mildly, Marshall is a ball of fire. This new CD, coming out on May 28th (and you can preorder at her web site, www.Tallgirl.com), is the best so far—and that’s no mean feat. Marshall writes most of the songs on the album with the exception of “Let’s Make Waves” (which Marshall wrote with Shannon Wright), “Nearness of You” (Hoggy Carmichael and Ned Washington), and “Blues Stay Away from Me” (Alton Delmore, Rabon Delmore, Wayne Raney and Henry Glover). As you can see already, the songs are a mix of old favorites and the very new. The CD opens with “Love in the Wind” that Marshall sings with Todd Snider. It’s a great opener followed by the rollicking “I Don’t Want Nobody” (that you find out has the finisher “but you!”) Other songs on the album are “Beyond Words,” “Dreams and Memories,” Waiting for the Music,” “Call the Lamas,” “Not Afraid to Die,” and it finishes with “Blaze of Glory.” Every song is terrific and one you’ll want to listen to again and again. My favorite—and this one has appeared on a previous album—is “Call the Lamas.” This song is typical of Marshall’s great creative imagination. The song is about a baby she sees in the grocery store and her belief that she is seeing the next Dalai Lama; hence, the title “Call the Lamas.” Of course, Buddhists believe that the Dalai Lama is reincarnated and the next one will be proclaimed after the current Dalai Lama has passed on. The Dalai Lama has said that if China is still ruling Tibet when he dies, that he will come back in a free country, not Tibet. The charming song written by Marshall Chapman is not to be taken as a true identification of the next Dalai Lama, but is nevertheless unforgettable. One of the masterful strokes of “Blaze of Glory” is that the instrumental accompaniment on every song is perfectly clear and has the feeling of being in the room with you. Each instrument is performed not only with intimacy but echoes the mood of Marshall’s sultry voice. Marshall Chapman is not only a singer-songwriter but has written two fantastic books, Good-bye, Little Rock-and-Roller and They Came to Nashville. She’s also a columnist (Beyond Words is the name of her column) in Nashville Arts Magazine, is a contributor to Garden and Gun Magazine, writes for Vanderbilt Magazine and for Oxford American. Marshall, with Matraca Berg, wrote songs for the musical Good Ol’ Girls (adapted from the fiction of Lee Smith and Jill McCorkle); it has opened off Broadway and is going to be featured at Barter Theater in Virginia from August 16th though September 7th with Marshall appearing at a gala on August 18th. The release celebrations in Nashville will be held at 6:00pm on June 12th at Grimey’s and on June 14th at 9:30pm at Bluebird Cafe. During both celebrations, she’ll appear with Will Kimbrough. Don’t miss these glorious occasions! Author of Tennessee Literary Luminaries: From Cormac McCarthy to Robert Penn Warren (The History Press, 2013) Sue Freeman Culverhouse has been a freelance writer for the past 36 years. Beginning in 1976, she published magazines articles in Americana, Historic Preservation, American Horticulturist, Flower and Garden, The Albemarle Magazine, and many others. Sue is the winner of two Virginia Press Awards in writing. 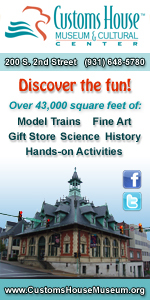 She moved to Springfield, Tennessee in 2003 with her sculptor husband, Bill a retired attorney. Sue has one daughter, Susan Leigh Miller who teaches poetry and creative writing at Rutgers University. Sue teaches music and writing at Watauga Elementary School in Ridgetop, Tennessee to approximately 500 students in kindergarten through fifth grade. She also publishes a literary magazine each year; all work in the magazine is written and illustrated by the students. Sue writes “Uncommon Sense,” a column in the Robertson County Times, which also appears on Clarksville Online. She is the author of “Seven keys to a sucessful life”, which is available on amazon.com and pubishamerica.com; this is a self-help book for all ages.